I was surprised by the cover art for this book. 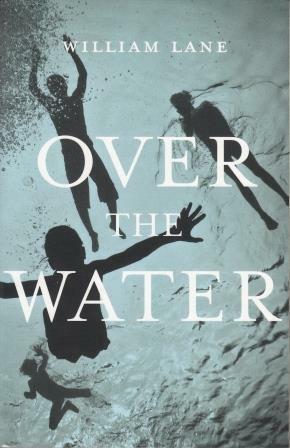 Over the Water is a novel exploring the uneasy experience of an expat teacher in Bandung but this cover design by Peter Lo with images by Hengki Koentjoro doesn’t suggest Indonesia at all. What it does convey is the sense of floundering experienced by the central character, Joe. Following the example of his brother before him in more ways than one, twenty-four year old Joe comes to Bandung to teach English and is overwhelmed by the sights and sounds of Java’s third city. This is not the Indonesia that most Australians know from lazy holidays in Bali, this is a bustling city of nearly 9 million people, densely populated and subject to all the usual social and infrastructure problems of rapid, chaotic over-development. As Lane shows, the rich live cheek by jowl with the poor, and the poverty can be extremely confronting, especially when the beggars are physically disabled in ways never seen in places with adequate medical care. But Joe has to adjust to much more than that. Mau ke mana? he is asked by complete strangers everywhere he goes: it means where are you going? and it’s the standard friendly Indonesian greeting, equivalent to the Australian nod accompanying G’day as you pass someone familiar. But from my own experience studying in Yogyakarta it can feel intrusive, and it can be hard to make a noncommittal but friendly-enough reply that doesn’t result in ongoing conversation you don’t particularly want to have with a complete stranger. For Joe, it adds to his confusion when he answers the question literally, and is warned hati-hati. He does need to take care, and there may be danger ahead, but he has no idea what it might be or how to avoid it. Between Lisa’s soppy spiritualism and Georgie’s imperviousness to the culture in which she finds herself, Joe flounders about, trying to be respectful to Indonesian culture while not knowing how to deal with its superstitions, a religion he doesn’t understand and the mores that surround sexual relationships. Tom, an unwholesome-looking Englishman at the school, warns Joe that the small expat community tends to latch onto newcomers and that he should set boundaries, but it doesn’t take long before Joe is enmeshed in relationships with various women who make demands on him that he’s not ready for emotionally. He is discomfited by Lisa, whose Javanese ‘boys’ turn out to be her harem; compromised by Danu, who expects him to save her from an arranged marriage; and baffled by the reclusive Babette, who lives in a ruined colonial mansion reminiscent of Miss Havisham’s. The fragility of Joe’s own identity in what seems to him to be moral chaos is complicated by the shadowy figure of his brother, a kind of Pinkerton figure, a symbolism reinforced by references to butterflies. Over the Water is a cautionary tale for would-be expats! Sally Keighery also reviewed it for Readings.